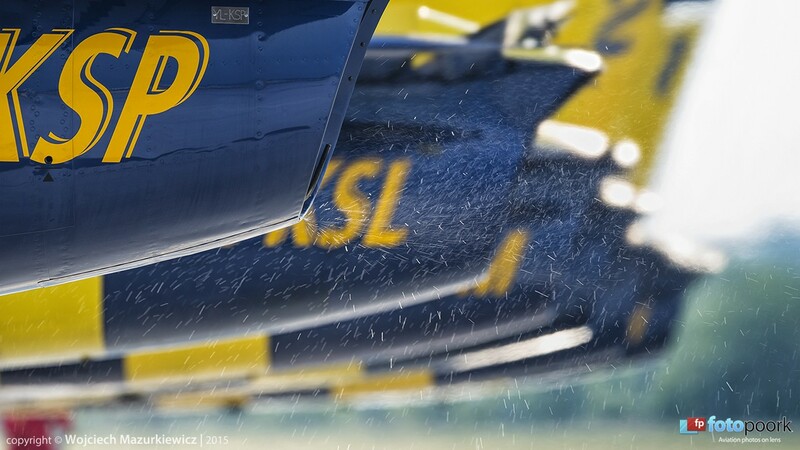 We have attended the Poznan Aerofestival event, which is the second largest air show organized in Poland this year. Poznan Aerofestival took place within the premises of the Poznan Ławica airport which is an active, civilian airport with numerous operations performed on a daily basis, on Jun. 12 – 14. Expectations were great, since the Aerofestival has been advertised as one of the largest international air shows taking place in Poland. 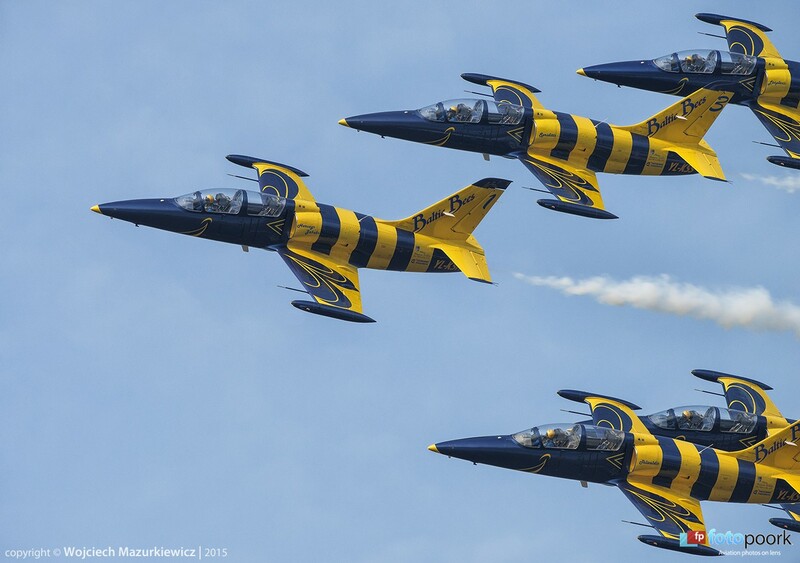 The program included numerous attractions, including displays by aerobatic teams, such as Baltic Bees Jet Team, Turkish Stars or The Flying Bulls. 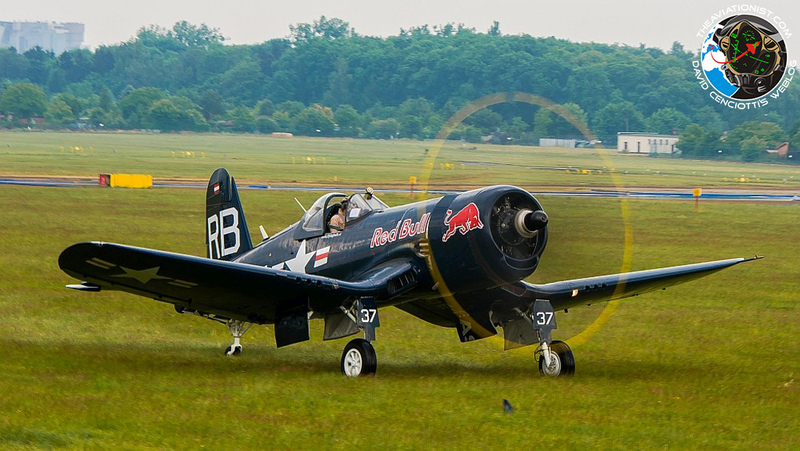 Solo aerobatic displays were provided by well-known pilots, including Jurgis Kairys, Artur Kielak or Łukasz Czepiela.Finally, the icing on the cake was provided by some WW2 warbirds, such as the Supermarine Spitfire, Yak-3 F-4U Corsair or Mustang. 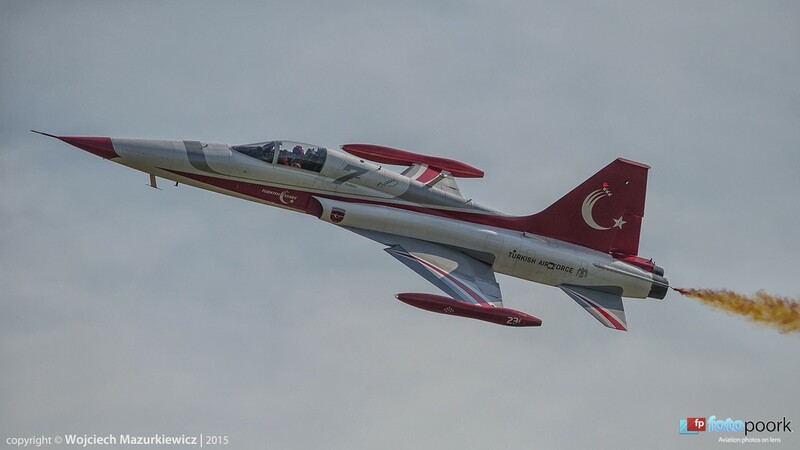 Some of the highlights included the displays performed by the Turkish Stars, flying the Canadair NF-5 Freedom Fighters and the Baltic Bees, flying the Aero L-39 Albatros. 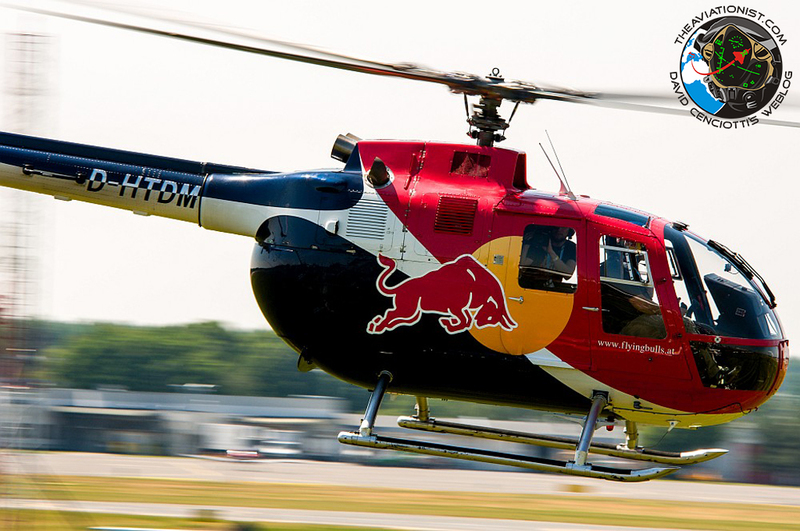 The show also featured an incredible display of the Red Bull Helicopters – Bo-105 and TAH-1 Cobra, carrying out stunts which are not often seen performed by rotorcraft. Another interesting display was the one of the Norwegian Air Force Historical Squadron, that showcased the De Havilland Vampire FB.52 and T.55 vintage fighters. The Italian Pioneer Team, a civil aerobatic team. flying four Pioneer 330 aircraft painted in white, blue and red colors, was also a highlight of the display: obviously the Italians were not as spectacular as the Turkish stars, however, their display discipline has shown the Poznan audience all the magic related to formation flying. Notably – the Pioneer team’s display features flares which is quite unusual for a civilian display team. One of the most spectacular displays was performed by Artur Kielak, flying the XA-41 aerobatic aircraft. 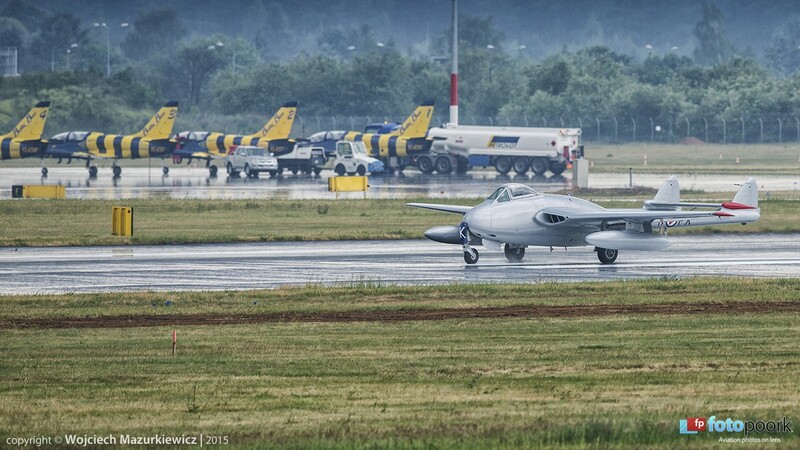 Polish Air Force’s participation in the event was quite modest. This concerns mainly the F-16 display, that was limited to a high-level pass in a four-ship formation. 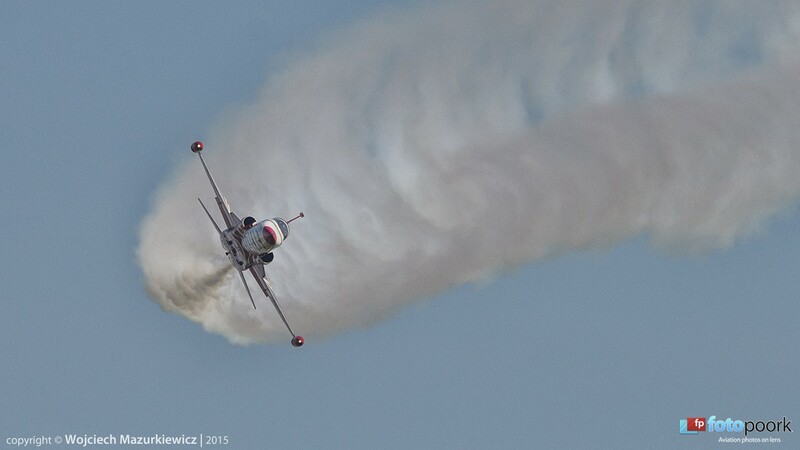 However, the demo team is still rumored to debut in Radom, Poland’s largest airshow planned in September. Besides the high-pass performed by the core of the Polish fighter force, the Polish Air Force showcased Casa C-295M transport aircraft and PZL SW-4 Puszczyk training helicopters within the static display. What’s interesting, the show also featured aircraft of the RAF within the static display. 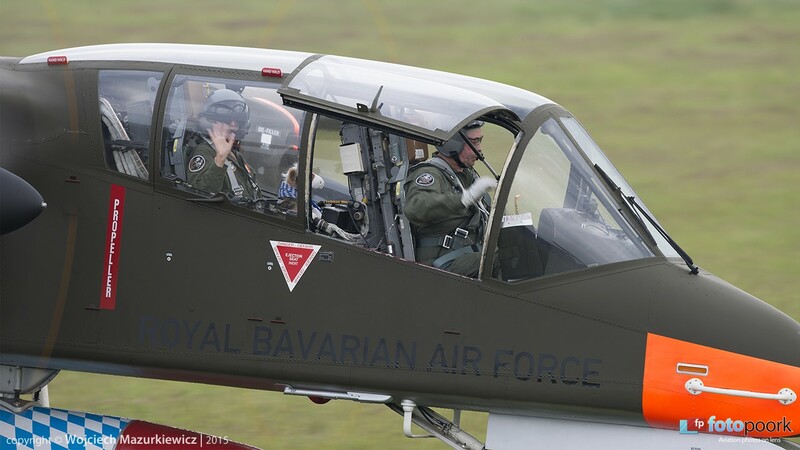 The British sent Tornado and Hawk jets, along with the pilots who came virtually straight from Afghanistan and Iraq deployments to Poznan. Talking to the experienced pilots was a great opportunity for the audience to learn about combat flying, even in a short conversation. However, mainly as a consequence of the presence of an active civilian airport, the event was not flawless. 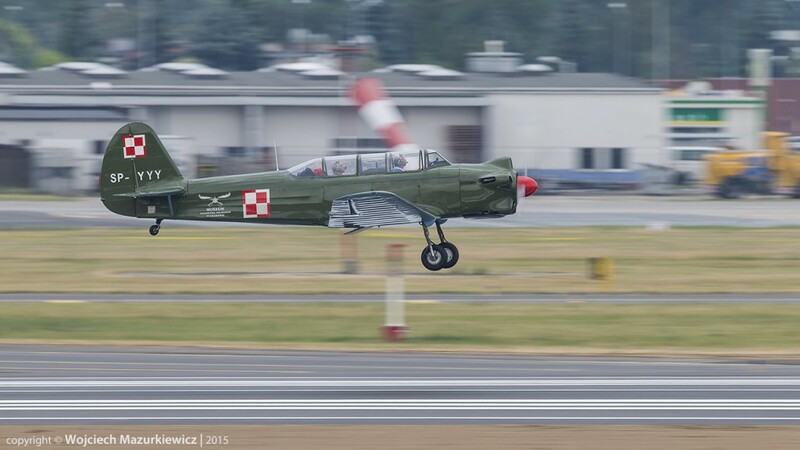 On Saturday, the displays were not conducted according to the schedule – officially because of the flights redirected to Ławica from Berlin, due to thunderstorms. This is probably not a relevant cause, since only 3 additional operations did happen – and more than 50% of the flying display programme was cut. For example, Boeing Stearman’s or Cessna O2’s displays were canceled due to the traffic, even though the aircraft had already taken off. It is a pity that the planned displays of the historical aircraft did not happen – including the Yak-3 and the Supermarine Spitfire, both of which departed on Sunday, conducting only a low-pass over the runway, instead of performing the whole display. Additionally lack or erroneous information provided by the show speaker contributed to the feeling of dissatisfaction on the side of the audience. On the other hand, we may say that the organizer learns quickly – organization on Sunday was way better than on Saturday. When it comes to organization, the Aeropact company surely passed the exam within the scope of clarity of information – numerous volunteers working during the event did everything to guide the audience around. The area of the Ławica airport was well-marked and the layout was quite well-organized. The spotter’s zone, located right in front of the runway, provided an opportunity to capture some interesting photographs. Thanks to our cooperation with the Fotopoork portal we have a chance to present shots from a variety of perspectives – taken in a variety of locations within the Ławica airport. Overall, we may say that the show was pleasant to attend. We must remember that it is the airshow debut of the Aeropact company. We do deeply hope that the next year’s Aerofestival is going to be better and that the organizers are going to do their homework, fixing the organizational issues, especially those related to the heavy airliner traffic. The fact that organization of the show got better after the Saturday chaos is a good sign. That means that the organizers have certainly drawn conclusions on a daily basis, and hopefully this would have an impact on the next year’s edition. We must stress the fact that having more than one international aviation event in a year, within the territory of Poland is a novelty and it is also a very good move, since Radom is not reachable for everyone – attending the Radom show, for many people in Poland, constitutes a serious trip, with many hours spent solely on reaching the location. Thus, when it comes to the airshows, situation in Poland is certainly getting better, and the Polish air show offer is getting more interesting not only for those who live in Poland, but also for the visitors coming from abroad. L-39 Albatros jet trainer spotted over Aleppo, Syria. Poland’s Cold War era Sukhoi Su-22 Fitter bombers to fly for 10 more years. At least.